ONGC Notification 2019.Oil and Natural Gas Corporation, ONGC has released a notification for the recruitment of Class III & IV vacancies.Check the eligiblity and notification prior to apply for the positions. 1. Assistant Technician, Assistant Gr-III: Candidates must possess Diploma in Mechanical/Instrumentation/Civil Engineering from a recognized Institute. 2. Junior Technical Asst, Junior Assistant Technician, Junior Assistant: Candidates must pass Matric with relevant trade certificate, B.Com, B.Sc from a recognized University. 3. Junior Fireman: Candidates must pass Matriculation with Fireman’s training of minimum 3 months duration with valid HVD license. 4. Junior Motor Vehicle Driver: Candidates must pass Matriculation with valid HVD license and 3 years experience of driving heavy vehicles. 5. Junior Fire Supervisor: Candidates must pass Intermediate with 6 months experience in fire services. Selected candidates will get Rs. 10000 to 27000/- from the organization. General/OBC candidates have to pay of fee Rs. 370/- which must be paid through Challan at any branch of SBI in ONGC Power Jyoti A/C No. 30827318409 of SBI, Tel Bhavan, Dehradun. SC/ST/PwBD/Ex-Servicemen candidates are exempted from payment of fee. 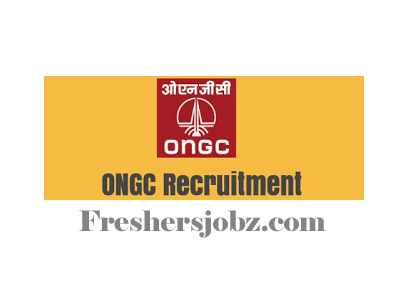 Look around for “ONGC Recruitment 2019 for Class III & IV Posts“.